A good creative brief is like a strongly brewed cup of coffee — it’s the fuel that feeds the creative design team to develop innovative, amazing, mind-blowing, and awe-inspiring work. Keep projects on track from day one. 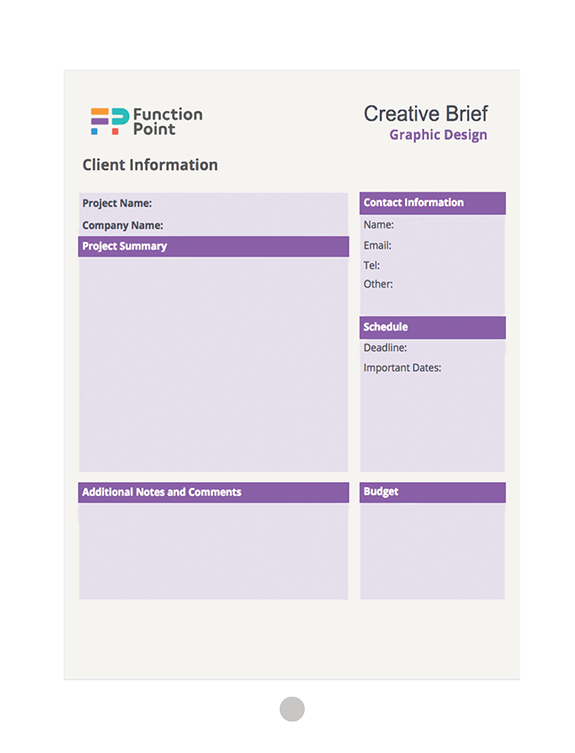 Use Function Point’s customizable creative brief templates to collect all the information you need to plan projects effectively. When all you need is a high-level overview, this creative brief template offers a basic outline to help you focus on the bigger picture of a project. 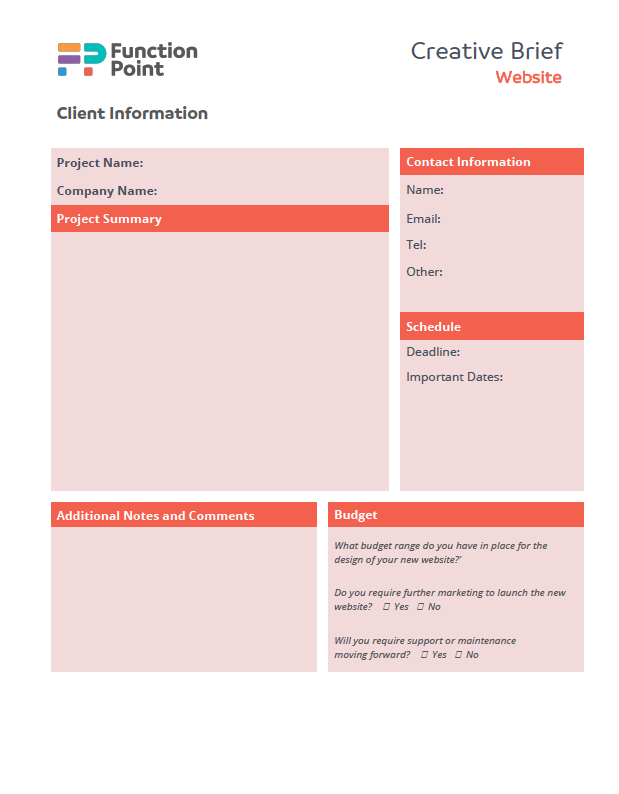 Plan efficiently and stay focused with this brief template that captures project details like objective, target audience and messaging. Set the precedent for clear communication on every graphic design project. This template includes all of the important elements of a design brief, including branding guidelines, audience profile and competitive positioning. Inspire creatives to do their best work and ensure clients love the work that’s delivered. Use this template to capture only the important information, whether you’re rebranding, updating or building a brand from scratch. Keep your team and client on the same page every time you have a new website project. This template is the perfect blueprint, with questions that address the content and structure of a new website.